From left to right: Richard Watts, Steve Smith, Richard Leonard, Seth King, (Adam Manley missing). 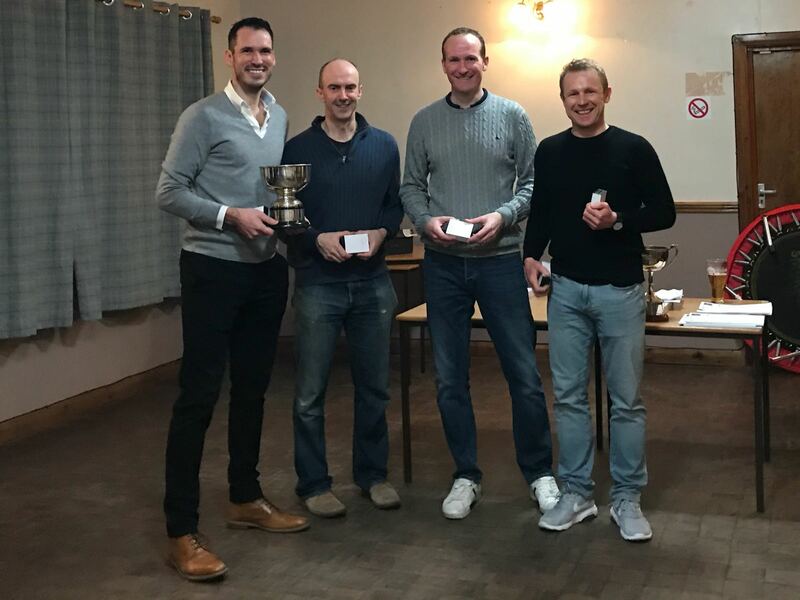 Harlow A retained their 5-a-side knockout cup in a very close match 3-2 with Leyburn at Bedale Squash Club on Thursday, 29th March! 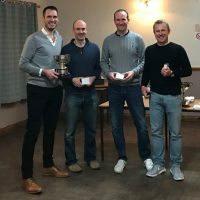 Also Harlow 1 retained their League Division 1 title by just two points from Harrogate Squash 1. It went down to the very last match of the season where Harlow one beat Leyburn 1 and took 12-points needed! Go to the North Yorkshire Squash League here for all results.